The International Holocaust Remembrance Day, which occurs on January 27, is the first universal commemoration in memory of the victims of The Holocaust. It was designated by the United Nations General Assembly Resolution 60/7 on 1 November 2005 during the 42nd plenary session. 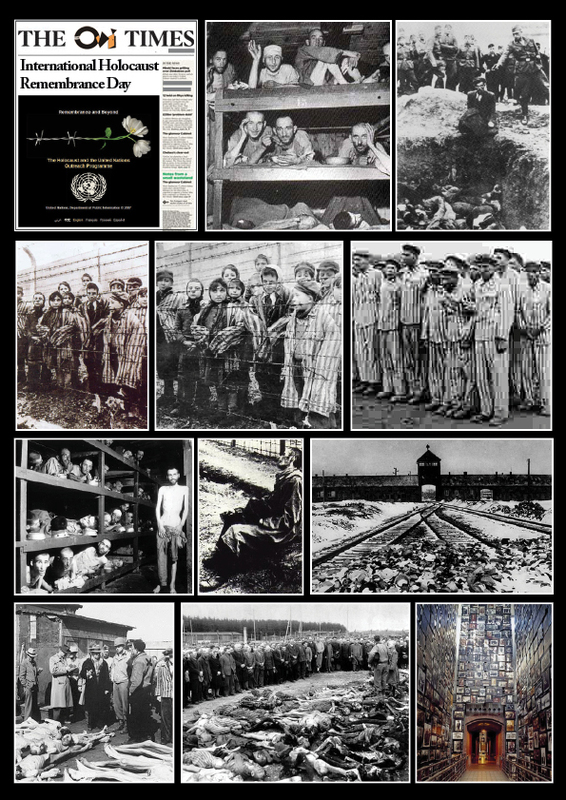 On 24 January 2005, during a special session, the United Nations General Assembly had previously marked the 60th anniversary of the liberation of the Nazi concentration camps and the end of the Holocaust which resulted in the annihilation of 6 million European Jews and millions of others by the Nazi German regime. And yet there are loonies who will look at those photos above and deny that such a horrible event ever happened. Truth is what is convenient to them. That is an extreme position but there is another more in the middle position to which some of us may belong. It is described by Tony Judt in his book Europe after 1945. He calls it misremembering, by which he means that we take such an event and we commemorate it once a year and to help us remember we erect monuments, and museums and distribute documentaries but despite all of this we fail to ponder the moral lessons about Western Civilization that such an event teach us. Judt is convienced that it is such a misremembering, more than the outright denial, which is the greater omen that it will entually happen again and when it does it will make the one that ahppened only sixty or so years ago look like a picnic.